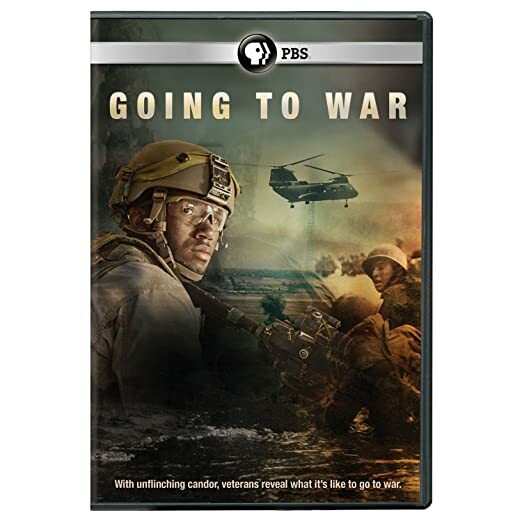 Going to War - BUY THIS ON DVD! What is it really like to go to war? For millennia, only warriors could really answer that question. Now, a new PBS documentary takes us inside the experience of battle and reveals the soldier's experiences as never before. Going to War helps us make sense of this paradox and get to the heart of what it's like to be a soldier in times of war. THEN SEND IN YOUR NAME, ADDRESS AND FIVE COMMENTS TO contests@efilmcritic.com orWeLoveHBS@aol.com. (Just one e-mail please.) Put "AGAINST TRUMP? SIGN ME UP!" in the subject line and cross your fingers. We will draw names and one of the prizes from PBS will be yours. Only 1 entry per household.